I was awakened this morning by the lashing down of bullet-sized raindrops and sideways gusts of gale force winds rattling at our bedroom window. As usual, Richard was dutifully up and at the farm since 6am, despite it being a Sunday morning begging to be embraced by cosy turf fires, fresh scones, wooly slippers, books, papers and play. I stretch, yawn, and walk downstairs to the kitchen followed loyally by our four-legged furry girls nipping at my heels bursting to go outside for a loo break and a sniff around the garden. In the kitchen, I ask Alexa to start my day. She replies in her robotic British tone with a funny joke about Chuck Norris and begins the play the American news from Reuters, plus a recap of the Tonight Show with Jimmy Fallon, followed by the local weather and then any “SHeduled” appointments in my “diary” of which there are none. It’s 8am and I make myself a cup of coffee. Despite having had a full barista style Italian coffee bar installed when we built this house, I can’t use it without flooding the place so instant Starbucks (no apologies), or if I am feeling like a hipster, a pour-over locally roasted brew, it is. I stand over our Belfast sink waiting for the electric kettle to boil, and stare out the window at the back garden, pondering whether or not to plant that wildflower meadow this year or not because if I do want to then I’d better do something about it now. Out the of corner of my eye, I notice the gate leading to the back patio and how rusted and chipped it is, it clearly needs a new lick of paint, and in that case, well, everything on the back patio needs a new lick of paint doesn’t it? Fennel, roses, bay, and borage are thriving together in the raised bed that I built into the centre of the terrace, and I decide that this will be THE year that I plant my completely edible terrace that I dreamed up last summer. The kettle clicks and it’s back to reality. I light the fire, let the dogs in and then sip coffee while flicking through the treat of a copy of the Financial Times that I scored when I went to town yesterday. The Financial Times replaced my beloved Sunday NY Times when I moved here, and despite the fact that it comes out on a Saturday, I only ever read it on Sundays, and only the Sundays when I have an excuse to go all the way to the city on the weekend. When it’s time to think about breakfast, I open the fridge and take out a package of Meer’s black pudding, 4 smoked streaky rashers left from the previous Sunday fry, a vine ripened tomato grown in an Irish hothouse, and the last handful of mushrooms leftover from a pizza night. 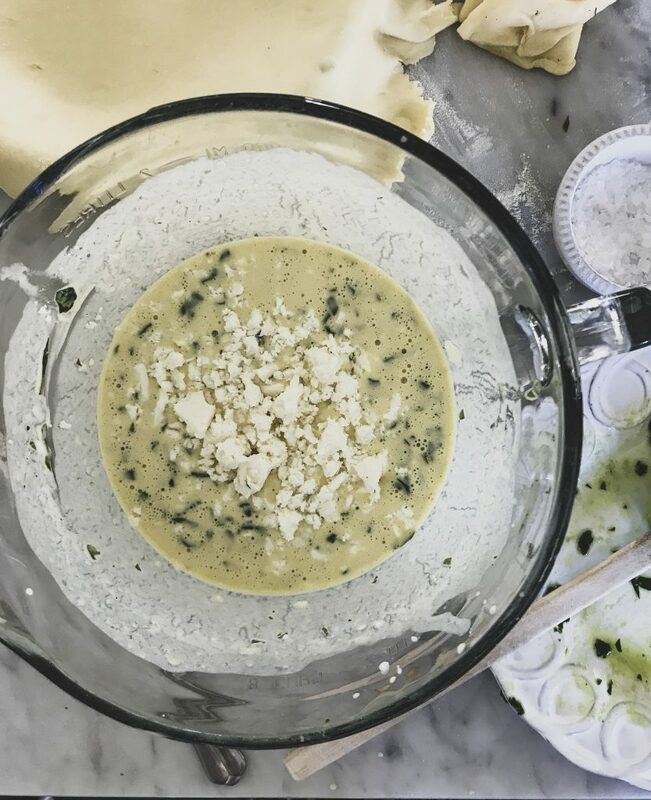 I set the whole lot down on my desperately dull Carrera marble countertop and then take 6 eggs from the basket and crack them into a big glass measuring bowl, along with a glug of raw farm milk, salt, pepper and a shimmy of curry powder before whisking it all into a speckled frothy blend. The bread box has a few cuts of brown soda bread and the butter dish has leftover churned butter from my food styling workshop earlier in the week, #FTW. I stand at the stove frying, flipping, stirring, sauteéing, while slowly slurping my coffee and listening to Claude Debussy Claire de Lune perhaps too loudly over the Sonos speaker set up in the living room which lies just beyond the kitchen and dining room. Our open floor plan/somewhat minimalist decor essentially lends itself to concert hall acoustics so music sounds quite powerful in this space, but can also feel a bit empty. A teardrop wells up in my right eye, and lingers just on the edge of my lower lid. The smoke alarm goes off randomly. I jump, turn down the gas burner, and carry on cooking. Eventually, the ringing stops. And, Debussy fades back in. 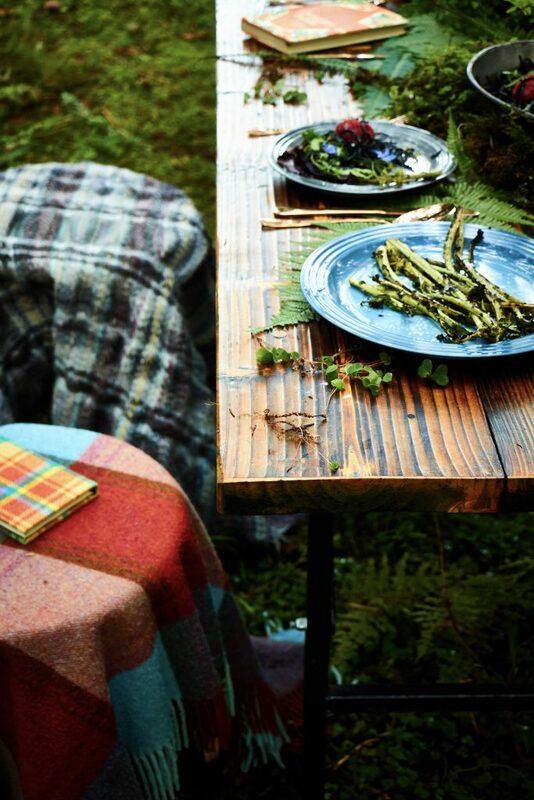 The table is just set when Richard’s farm jeep (Not the Jeep brand, everything that is not a car or lorry is considered a “jeep” in Ireland) pulls up. He comes in, kisses my cheek, and sits down. I bring over steaming hot plates of full Irish breakfasts and we tuck in together. In between bites, we discuss how many calves were born overnight and who showed up to work at the farm this morning. When we finish, I show him my latest sketch and new samples of Irish wool to go with it. We both look at the clock and say frightfully in unison, “Geoffrey should be finishing his breakfast about now too” and check our mobile phones for any missed calls. 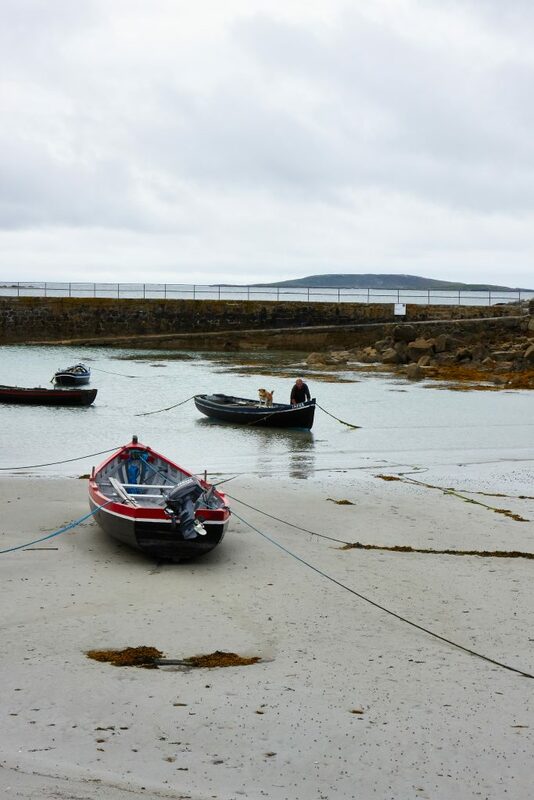 The only thing I see is the wallpaper image of Geoffrey on a recent mommy and son trip we took to West Cork. Richard and I seem too young to be empty nesters. But, empty nesters we are, as our only son now attends secondary (middle school-high school) boarding school, a concept totally foreign (to me) yet embraced by us all since September last. Could get bumpy. And, most definitely emotional. But, is there ever any other way? I don’t know about you, but I just can’t get enough chicken soup during the winter time. When I was in New York a week ago, I made sure to get down to Katz’s Deli for a bowl of their famous Matzo ball chicken soup despite staying in a midtown hotel. That’s dedication! There is nothing better than steaming hot chicken broth with noodles, matzo balls or rice when it’s bitter cold outside. 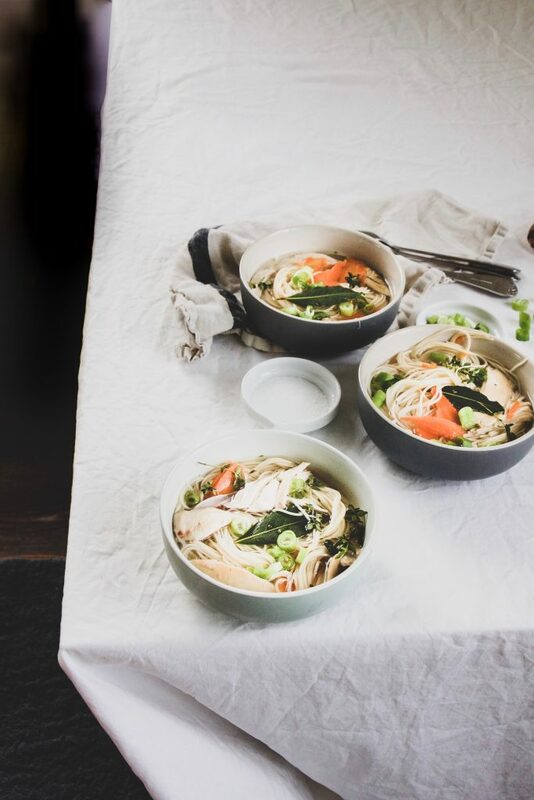 So, for my second #MakeItYourWay chicken post for Bord Bia, I have chosen to do a riff on my classic Chicken Noodle Soup using chicken thighs and fine egg noodles instead of breasts and the thick egg noodles my grandmother used to make from scratch. 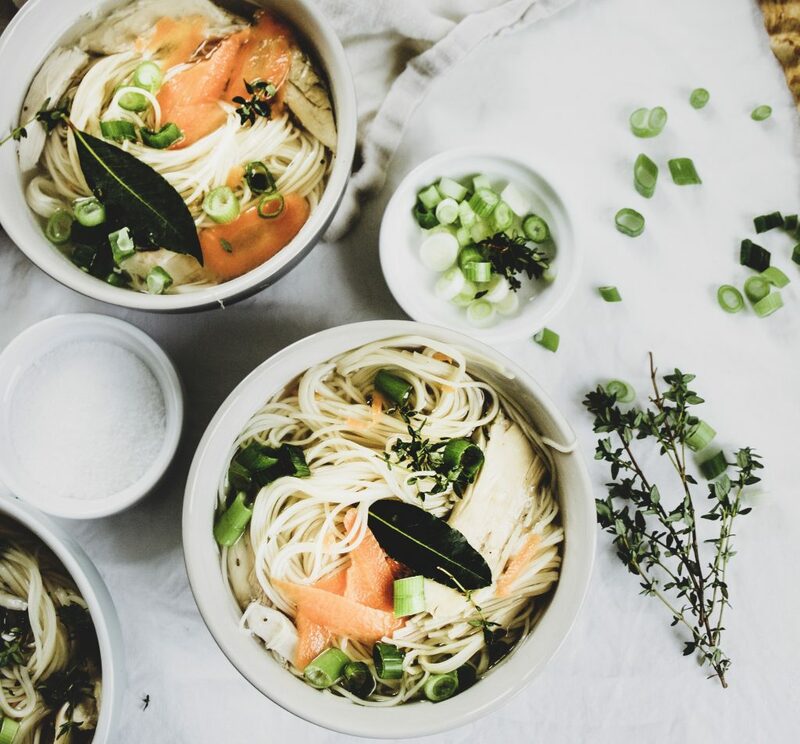 This recipe is quick and easy, and the fine noodles make it a bit lighter as well, but it’s still hits the spot and warms the soul when a piping hot bowl is placed in front of you. I am partnering with Bord Bia to celebrate how you can ‘Make it Your Way’ with Quality Mark chicken with a variety of new recipe inspiration. 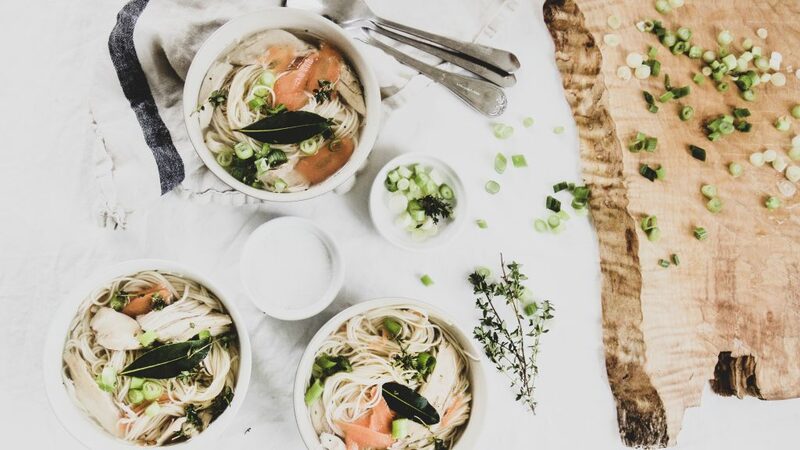 This chicken noodle soup is super easy to make and tastes incredible! Heat the oil in a large sauce pan over a medium heat. Add the onions, garlic, celery, carrots, a little salt and lots of black pepper. Cook for about 10 minutes, stirring gently. You just want the vegetables to soften, not brown. Stir through the chicken and cook for another five minutes. Stir in the stock and bring to a boil. Cover and simmer for 10 minutes. Then add the noodles and thyme leaves and cook for another 10 minutes. Stir through the Worcestershire sauce, taste and season. Divide into four bowls, sprinkle over the scallions and serve. Remember: Always look for the Bord Bia Quality Mark when purchasing chicken so that you know that it has been produced to the highest Bord Bia Quality standards which have been verified at every stage. 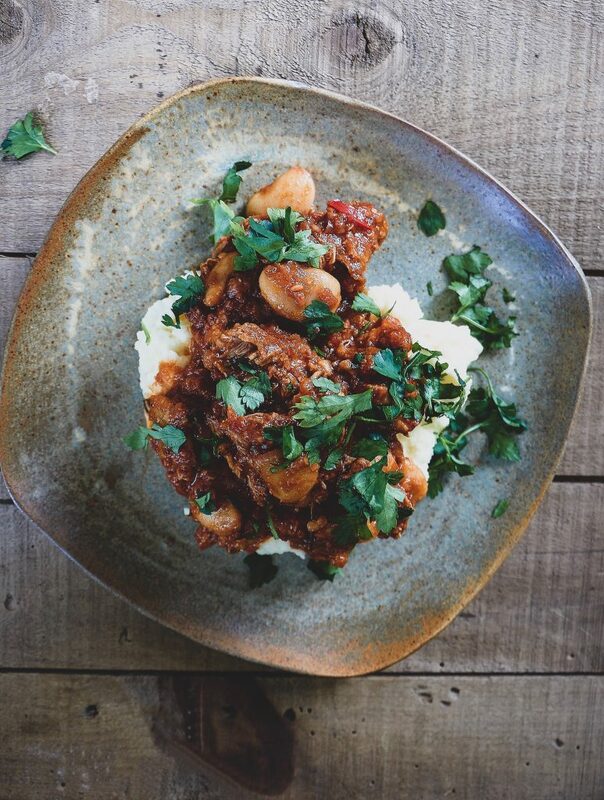 Check out www.bordbia.ie/qualitychicken for recipe inspiration and #MakeItYourWay and get cooking with chicken! 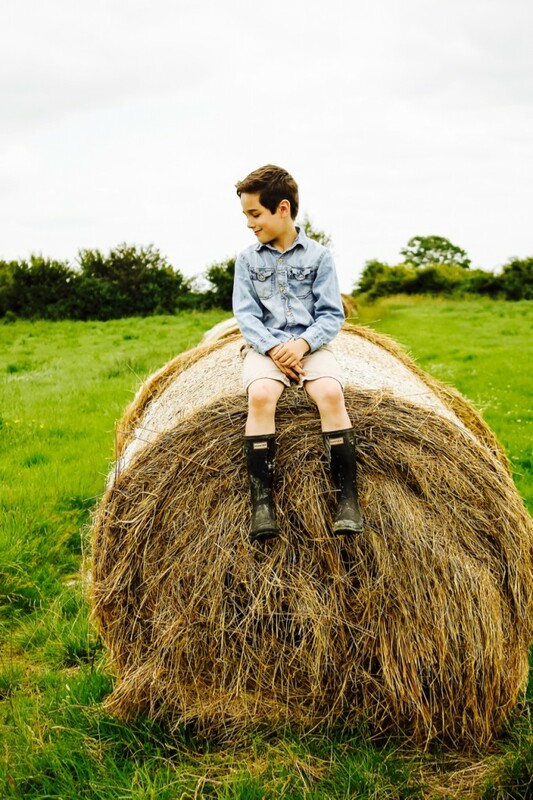 This post is in collaboration with Bord Bia. Since our farm rears Bord Bia Quality Mark certified free-range poultry, chicken is our definite go-to protein at home. 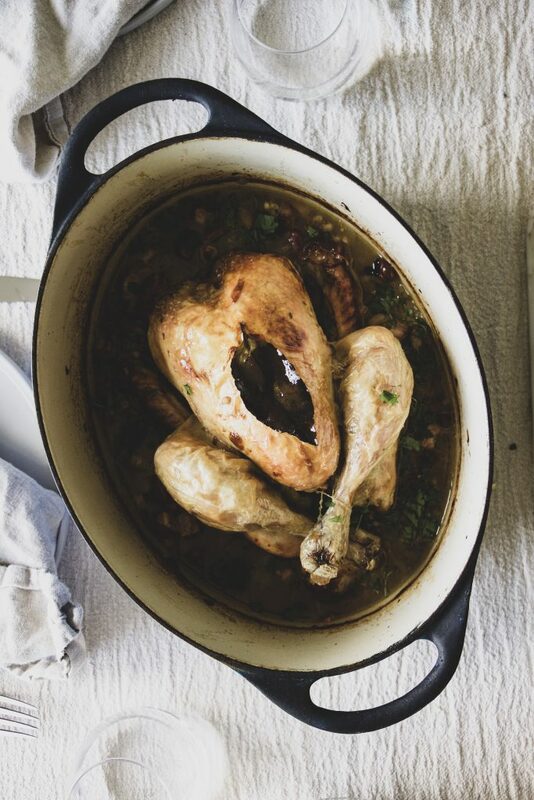 I am always creating new recipes and/or looking for inspiration to prepare chicken in the farm kitchen each week because our fridge and freezer are always stocked with juicy table birds for the taking. Even if you don’t have chicken from your own farm to hand, it is always plentiful at supermarkets or your local farmer’s market. Let’s face it, chicken is the perfect canvas to create a delicious and nutritious – high in protein, low in fat (also, Keto, Whole 30-friendly and works into many fitness plans) every day meals. There are no limits to what you can do with chicken, you just have to challenge yourself to get creative and make it your way. I think chicken really is one of the unsung heroes of your shopping trolley! From 28th January, Bord Bia is on a mission to give chicken dishes a new lease on life by providing consumers with inspiration and new meal ideas and reminding them about the benefits of purchasing Quality Mark chicken. 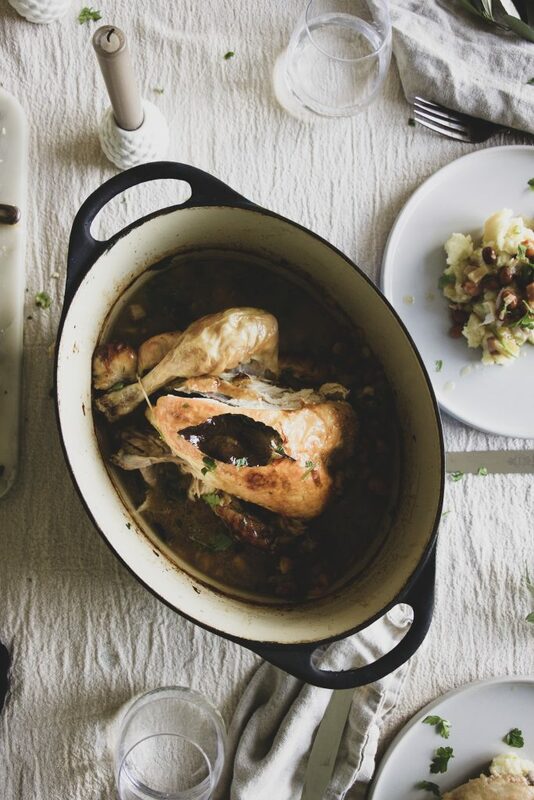 At a time of year where people are looking to start out afresh and are inspired to try new things, I am partnering with Bord Bia to celebrate how you can ‘Make it Your Way’ with Quality Mark chicken with a variety of new recipe inspiration from Bord Bia. 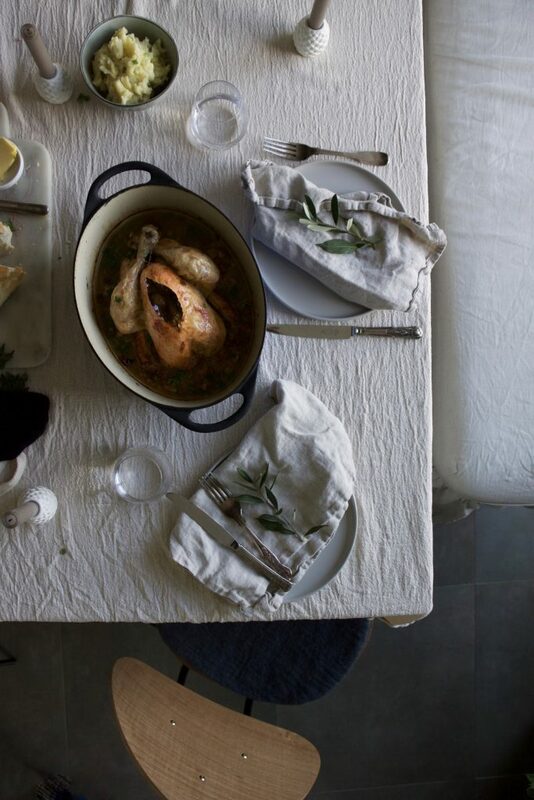 Scullery Notes: Serve the sliced chicken with the sauce, mashed potatoes and roasted vegetables. 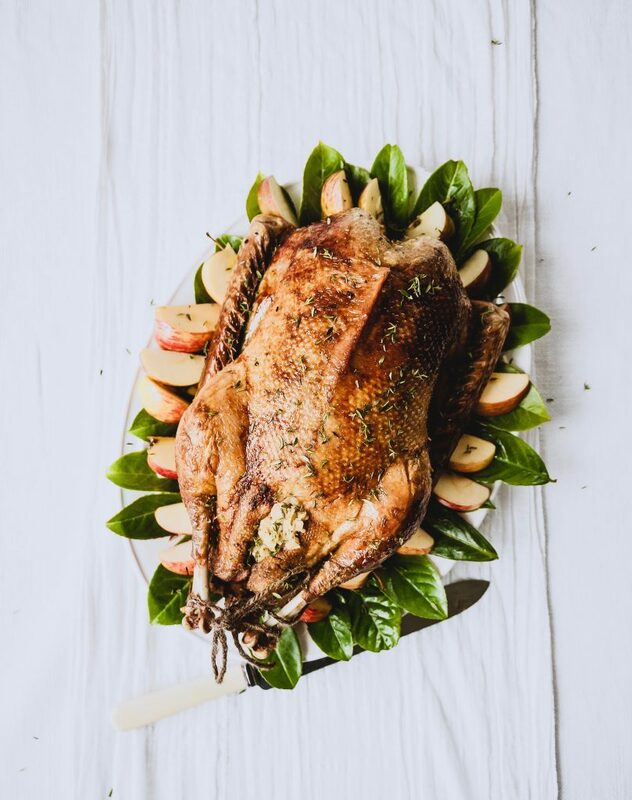 A golden roast goose is a gorgeous alternative to classic turkey and ham. The meat is richly flavourful and moist. Pro tip–you might need more than one bird for a large family as there’s usually quite a bit more fat than meat (like a duck) so don’t let the weight fool you. Apparently years ago, most farms in Ireland reared geese. My sister-in-law’s mother once told me that geese were also great guards for the farmyard and garden, and no farm in our area would have been without a pair of geese when she was growing up. They would alert families to visitors, welcome or not, with their unmistakable honk. This recipe uses my mother-in-law Peggy’s potato stuffing instead of the traditional potato and apple. Peggy’s version soaks up the gorgeous goose fat while providing a lush, herby flavor to the bird as well. 1. Preheat the oven to 400°F (200 °C) Gas 6. Prick the skin of the goose all over with a sharp skewer or fork; pull the inside fat out of the bird and reserve. 2. Spoon the potato stuffing into the neck end of the goose, then truss with strong cotton or fine string. Weigh the bird. Wrap in foil and place it on a wire rack placed in a roasting pan. Roast for 15 minutes per pound (450 g), plus 15 minutes at the end, basting frequently. 3. Thirty minutes before the end of the cooking time, drain off the fat and discard. Add the apples and wine to the pan. Place the bird on top, standing on the roasting rack. Remove the foil and fat and cook, uncovered, for the last 30 minutes, then serve. Scullery Notes: Garnish this roast with fresh-cut bay laurel leaves and apple slices if you please. One of my favorite recipes that my late mother-in-law, Peggy, prepared was her savoury potato stuffing. She only made it on special occasions. As straightforward as it may be, potato stuffing always seemed exotic yet heartwarming to me, a dish that I had never encountered back home. I wasn’t the only one who looked forward to Peggy’s stuffing; each serving always brought comfort and joy to all the faces around the table. This was Peggy’s tried-and-true recipe. I hope you enjoy it as much as we do. and season with salt and pepper. Mix all the ingredients thoroughly. Use to stuff a goose, duck, or turkey before roasting. 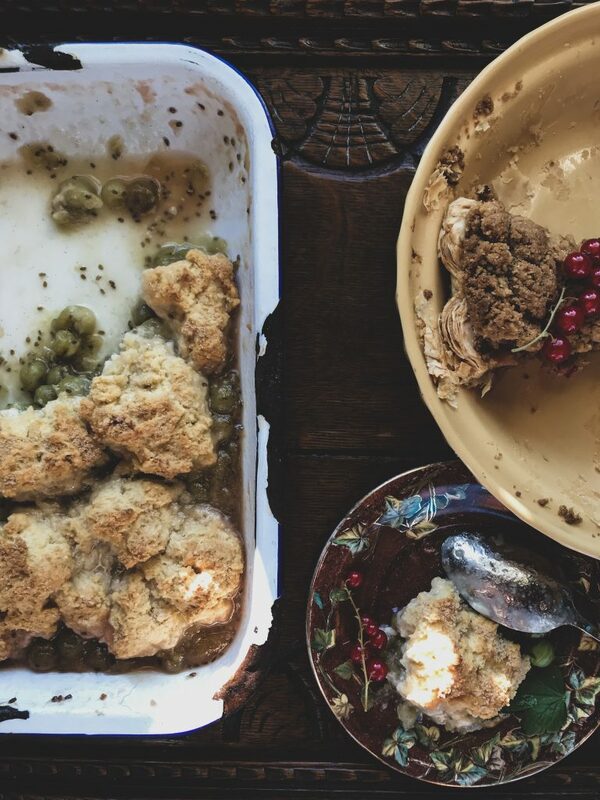 Scullery Notes: This stuffing is particularly good in a large roast goose or duck, but in our house, Peggy would also always traditionally stuff the carcass of a turkey with potato stuffing and the turkey breast with bread stuffing. What are your holiday meal traditions? Please share, it’s fun to try new ideas. For many of us, preventing food waste is simply not allowing the bag of spinach in the bottom of the fridge get sweaty and go off, or becoming more sensible with your shopping and planning. But what if we were to use up food that many people think is only fit for the bin or is inedible? 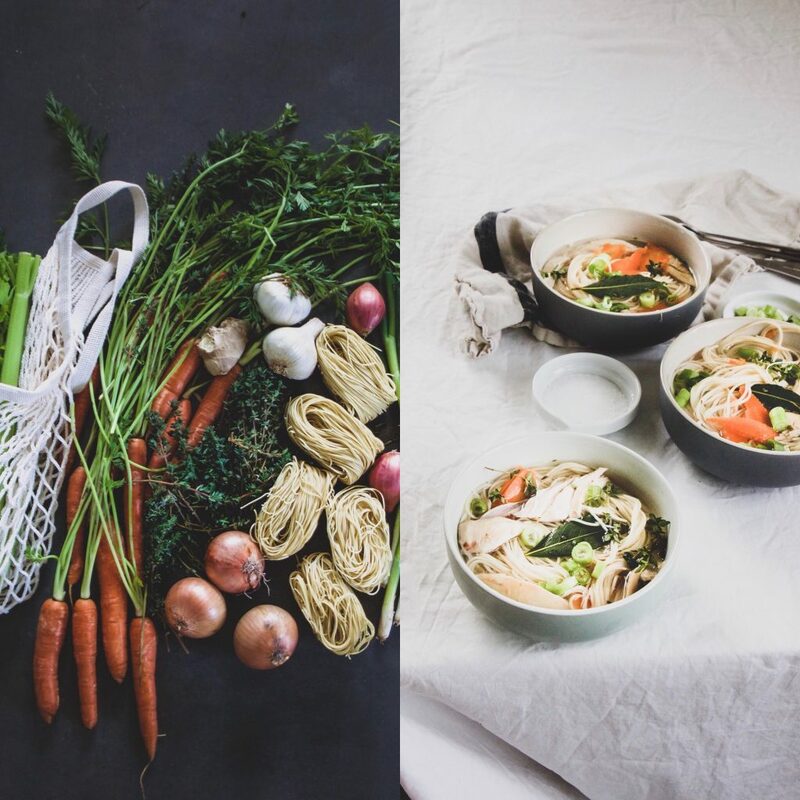 With an estimated 7.3 million tonnes of food thrown away every year, we must ask ourselves how to bring food waste reduction into our everyday cooking and be more aware in our homes. 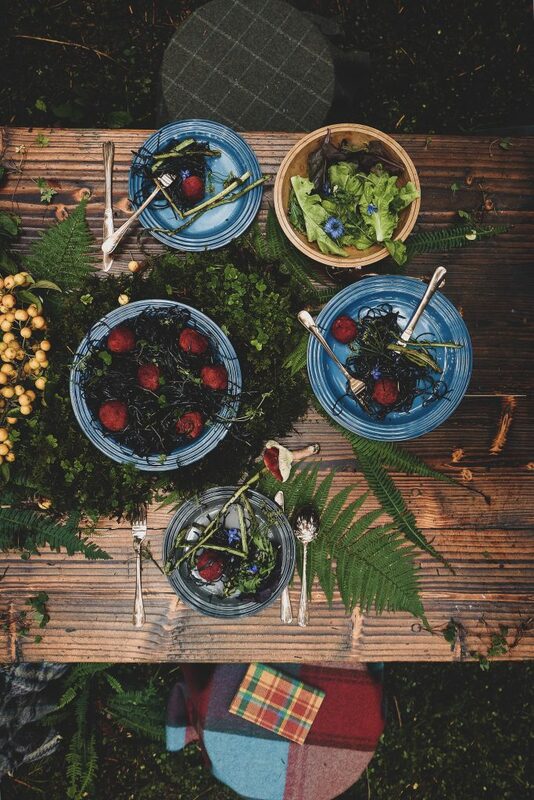 This month, my Lens & Larder partner, Cliodhna Prendergast and I have combined forces with Brown Thomas and the Le Creuset Food Unearthed Campaign to create recipes that embrace our leftover ingredients and make the most of our food without having any food waste. 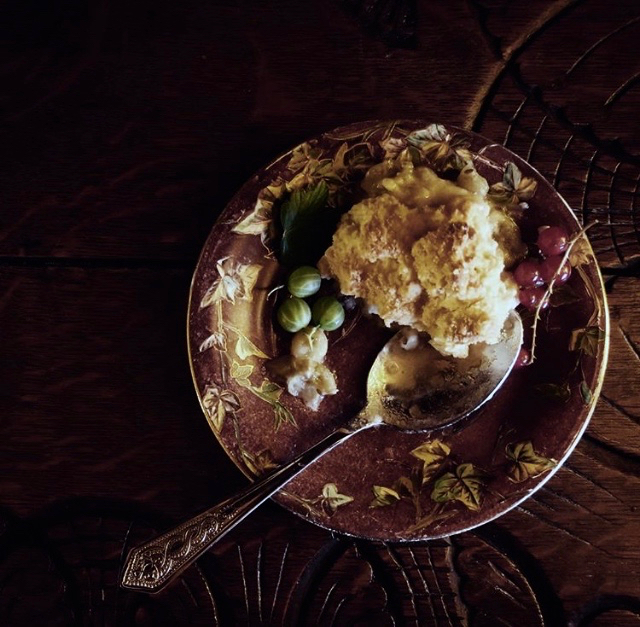 If you think about it, we have actually been preparing waste reduction dishes for centuries using recipes that that have been designed expressly for that purpose. 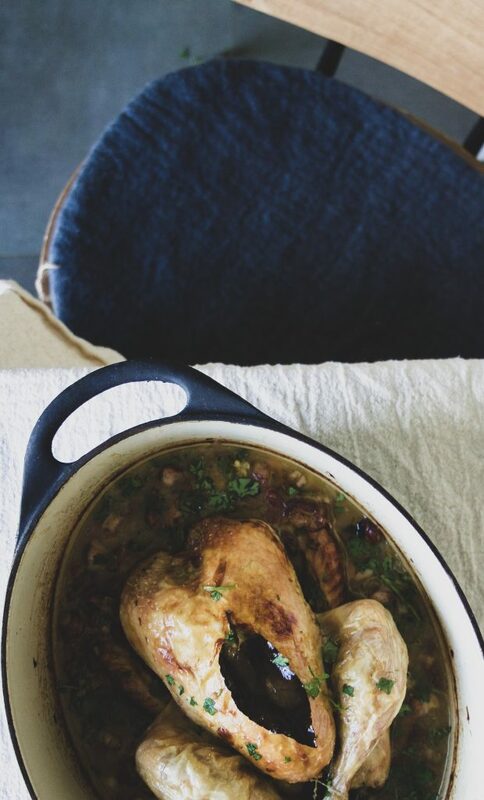 Bread and butter pudding was a way to use up stale bread, Coq au Vin was a recipe developed to use up an old cockerel that would otherwise be too chewy to say the least, however, slowly cooked in the acid and alcohol of old white wine this dish has become a favourite in our kitchens. Another dish that emerged in an effort to use up unwanted fish was Bouillabaisse. Developed by the provincial French fishermen of Marseille as they found it difficult to sell the bony rock fish they fished locally. 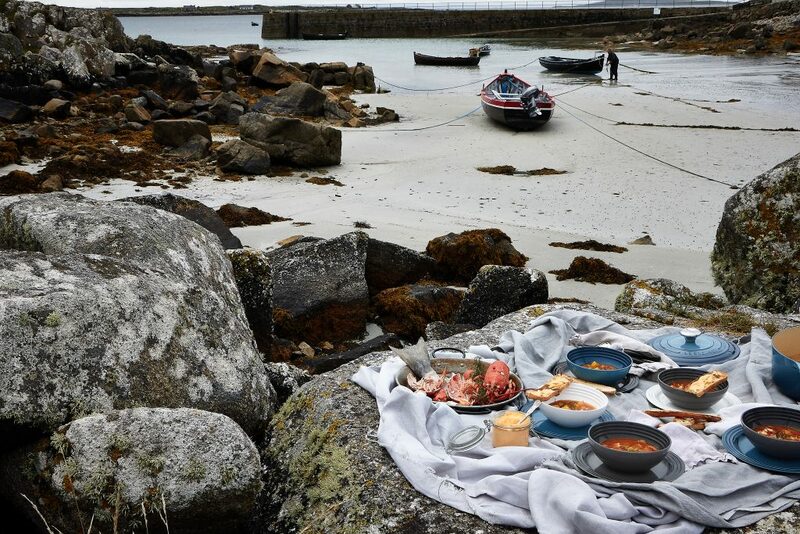 A broth was made from the rock fish, usually including some leftover shellfish for added flavour and mixed with tomatoes, fennel, saffron and sometimes potatoes. If you fast forward to today’s modern clean eating movement, we can embrace things like juice pulp and parts of vegetables that we wouldn’t ordinarily find edible because they are fantastic ingredients that you can get creative with and that tast delicious when prepared nicely. 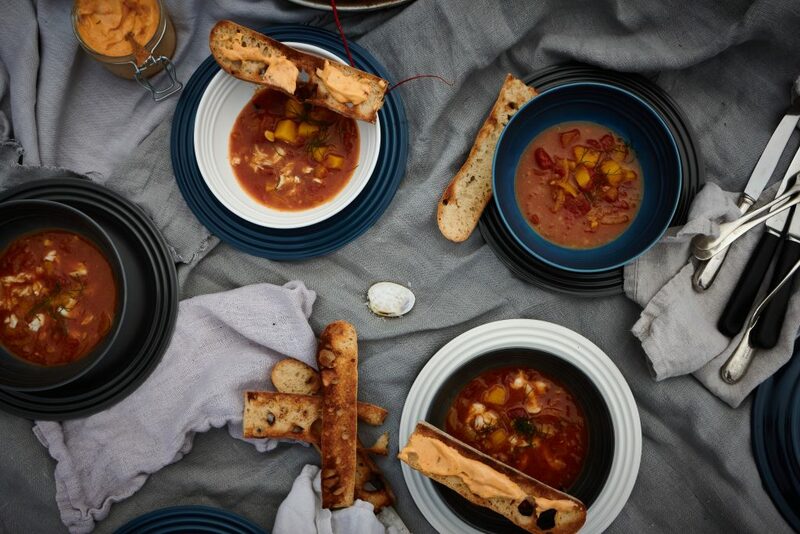 We are proud to support #lovefoodhatewaste and Le Creuset’s Food Unearthed campaign and have created two delicious recipes that use up ordinarily discarded foods and turn them into dishes that the whole family will love. 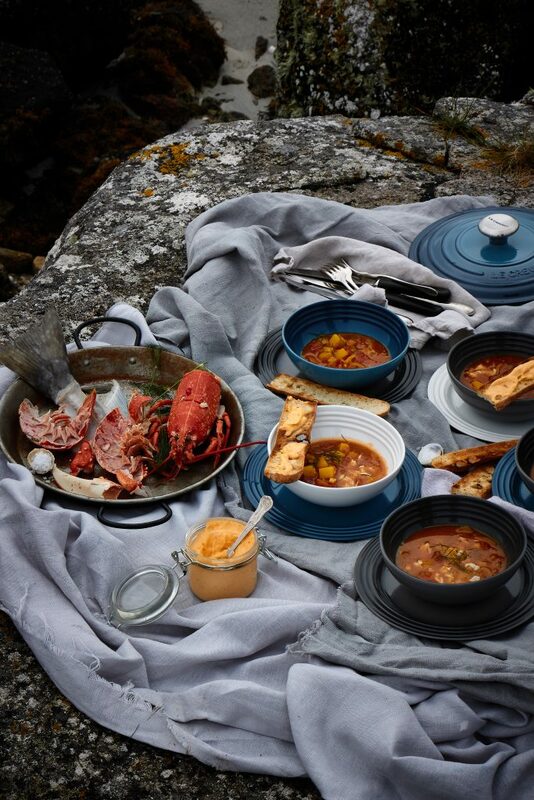 Serve these gorgeous dishes on Le Creuset’s stunning new line of tableware for an unforgettable dining experience all around. Because this dish is based on wasted food the ingredients, you do not have to be exact, any kind of crustacean shells like prawns, crab, lobster, crayfish, I happened to have lobster. I used haddock bones but any white fish will work. The same goes for the vegetables, these are rough ingredient measures how ever use what you have available, ends of onions, fennel, celery trimmings etc are all good. You can serve it as a hearty soup with the fish that clings to the bones only or you can make it a more filling stew by adding cooked mussels, clams and or a piece of steamed or baked chunky white fish. It’s up to you. Everything can be made in advance (it is best when it has a chance for the flavours to develop), and the extra seafood added before serving if you please. To serve you need some toasted crusty bread, baguette is traditional however you should try to get some stale bread from your bakery so whatever is left over is good, ciabatta and sourdough are delicious as the rouille can settle into the air pockets. 500g fish bones/heads cleaned of any blood and glands. 2 fennel bulbs, reserve the feathery green parts for serving, use the outer parts here and reserve the inner pieces for the main dish. Place the lobster shells on a tray in the oven to roast for 20 minutes. This intensifies the flavour but also makes them easier to break up for the stock. When the shells are roasted transfer them to a large pot and break up with a hammer or the end of a rolling pin. Add the fish bones and heads and the wine and simmer for 5 minutes. Then add the water, onions, fennel, celery, peppercorns and tomato puree. Bring to a simmer only and turn down the heat so it is simmering very gently for 1 hour. Do not stir. Skim the surface to remove any scum that rises to the top. Strain through a sieve lined with a piece of muslin/cheese cloth for a nice clear broth. First, add the saffron threads to a little warm water or warmed shellfish stock, it will take a little time for the flavour to activate. Sweat the onions and garlic, with a little salt and pepper in the olive oil until translucent, add the fennel, mix through and remove to a bowl. Add another tablespoon of olive oil to the pot, heat and add the potatoes, toss in the oil and allow to cook just a little. Add the onions, garlic and fennel back into the pot with the ground fennel seeds, mix through and then add the white wine. Allow the wine to reduce by half. Add the saffron in its water/stock to the pot along with the tomatoes and cook in for a moment. Then add the stock. Bring to a simmer and allow to simmer for about 20 minutes. Best to allow it to rest for a while so the flavours can develop before serving. The fish bones can be cooked now and the flesh added to the pot. Place the fish bones on an oven tray, removing any fins with a scissors and brush on some olive oil, salt and pepper. Place the tray in the oven for 10- 15 minutes. Remove and when cooled slightly, remove all flesh from the bones, carefully sorting through and removing any little bones. Add the flesh to the cooling bouillabaisse. Soak the saffron in 2 tablespoon of warm seafood broth. Then add the bread and soak. Add this to a food processor with the red pepper, garlic and cayenne. Blitz, then add the egg yolk, blitz again. With the motor running, slowly add the olive oil in a steady stream. Add the lemon juice in drops along the way, if the rouille looks like it may be starting to split, a dash of lemon juice will bring it back. The result should be a red-ish mayonnaise type sauce to spread on the toast or add to the broth. Check for seasoning. Chill until serving. Slice the bread in long strips and toast. If adding other seafood prepare and cook now. Heat the bouillabaisse gently and serve (with or without extra seafood) in bowls with fresh green fennel tips on top. 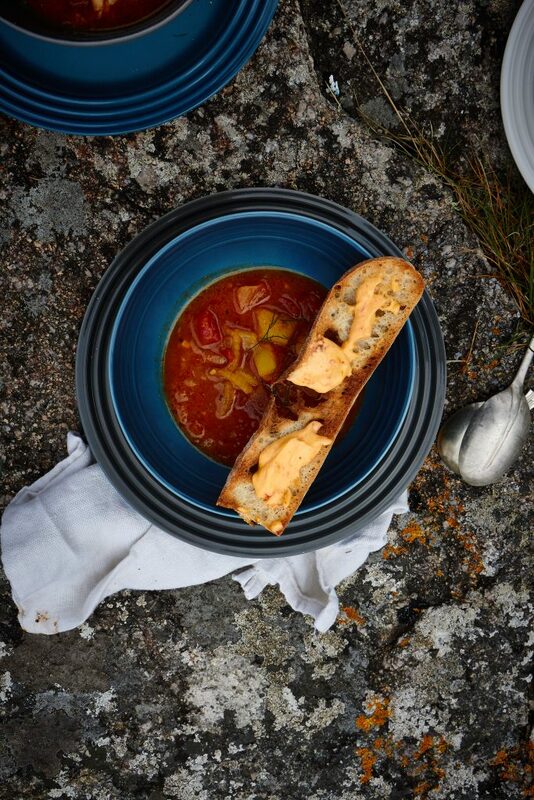 Put a dollop of rouille on the toast and serve with the soup with extra rouille on the side. 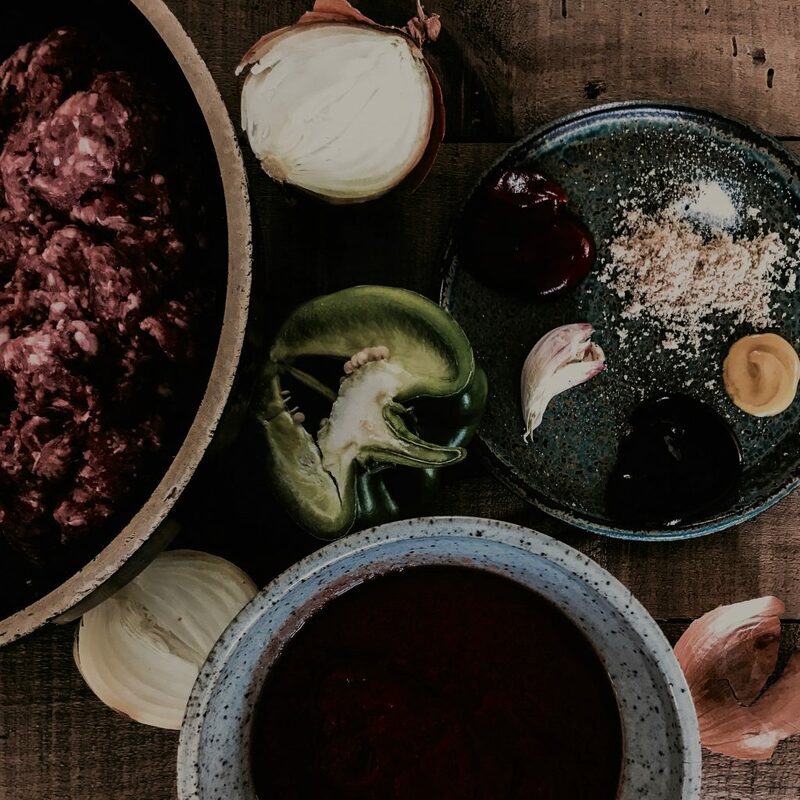 These delicious meatballs take away the guilt of discarding all of the juice pulp you have after juicing just a couple glasses for your morning detox elixir. If you fancy, you can add this mixture to beef or pork if you must have the protein boost. Combine pulp, egg white and bread crumbs in a mixing bowl. Add garlic, oregano, fennel seeds, lemon zest and salt and pepper, mix to combine thoroughly. Shape into 10 meatballs (or more/less -size to your liking). Heat olive oil in a nonstick skillet over med heat. Add meatballs and cook for 10-12 minutes. Remove from skillet and transfer to baking dish. Place on hot preheated oven for 25 minutes until cooked through. Serve with pasta and sauce of your liking. Keep your kale spines, they are absolutely delicious and just as nutritious and filled with antioxidants as the leaves. Just blanch and grill and you have a surprisingly tasty no-waste side dish. Bring large pot of water to the boil. Place kale stems into boiling water for 2 minutes. Remove and cool. Place kale stems into ziplock bag with olive oil, salt and papper and garlic if using. Place in fridge to marinate for 30 mins up to overnight. Prepare hot coals for grill. Place kale stems on grill until charred. Serve. I’m delighted to team up with Bord Bia in support of the European lamb campaign again this autumn. Lamb is one of the most versatile and flavourful meats you can buy. It’s rich and flavoursome and there are so many creative ways you can use lamb, whether you have an afternoon or just minutes to spare. 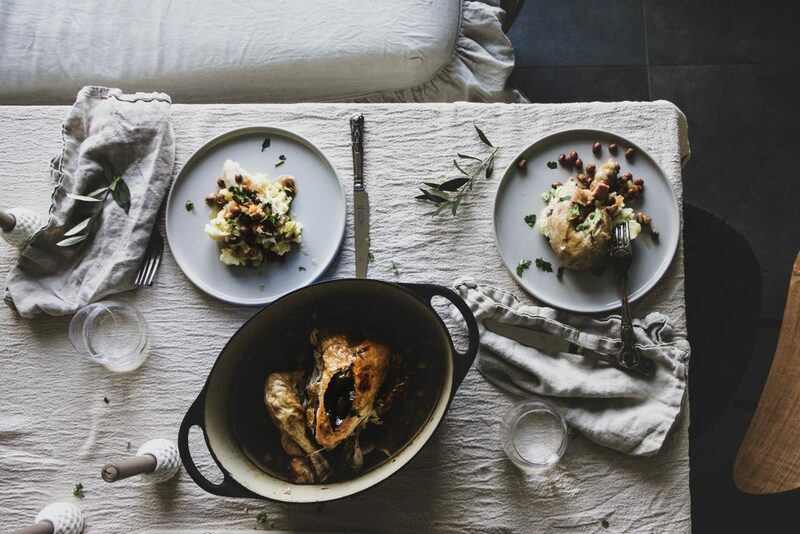 Personally, I am always trying to devise recipes to put together with leftover roast meats as we do a lot of roast dinners at the farm and there is always something to spare. 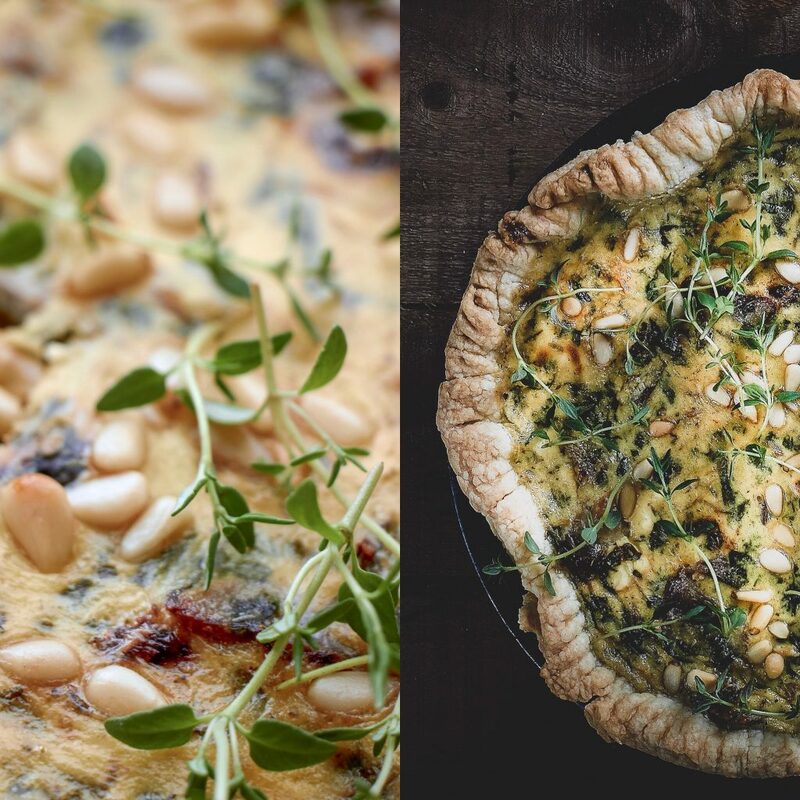 One of my favourite go-to recipes to bang up is a simple bacon (ham), rosemary and cheddar cheese quiche or omelette, but this Greek-style European lamb quiche has come in and stolen the show. With some of the best European lamb coming from local farms in Ireland, we really are spoilt for choice when it comes to this outdoor-raised, grass-fed ingredient. ▪ Preheat the oven to Gas Mark 4, 180 C° (350°F). ▪ Heat the oil in a high-sided frying pan or wok. Add the spinach first and then the garlic and cook on a medium heat until all of the water has evaporated, approximately 1-2 minutes. ▪ Season, drain in a colander and press firmly with a wooden spoon to remove as much water as possible. Sprinkle the lamb with the thyme. ▪ Beat the eggs with the crème fraiche in a bowl. Add the spinach, lamb and half the cheese. Stir and adjust the seasoning if needed. ▪ Line a large tart dish (27 cm) with the pastry. 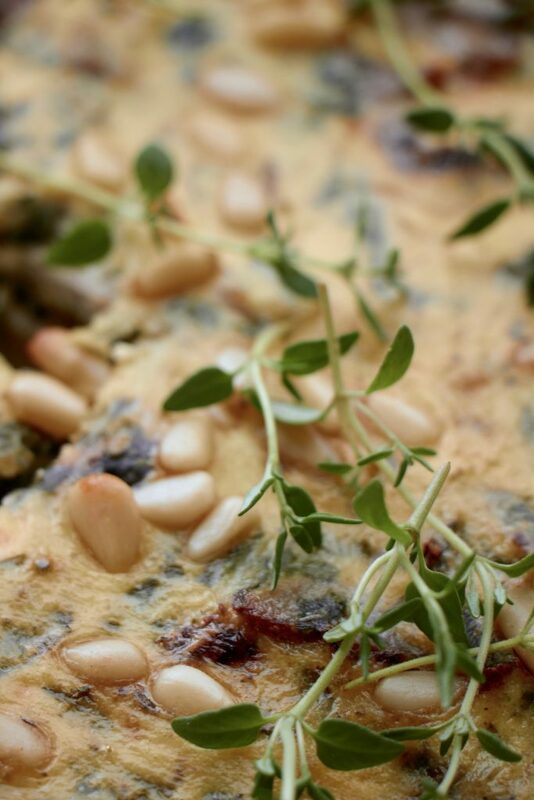 Pour the filling in evenly, then sprinkle with the remainder of the cheese and pine nuts. ▪ Bake in the oven for 30 minutes. This recipe is an excellent way to make the most of the leftovers from Sunday’s roast lamb. 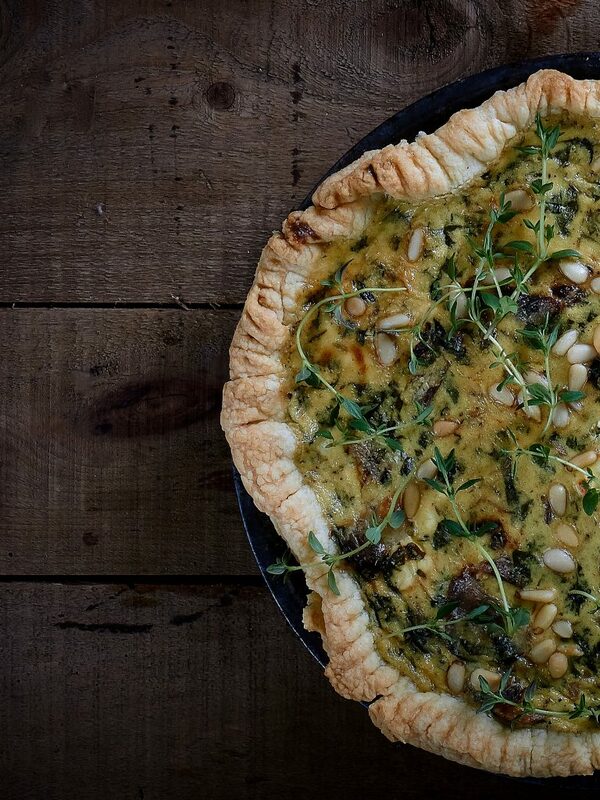 Try this delicious tart warm or cold at a picnic or as a change from sandwiches in the office. One of the best food memories I have from my initial years in Ireland is beans on toast. It often came up in conversation regarding what mothers were feeding their toddlers, and I was repeatedly informed that Irish kids were mad for beans on toast or cheesy beans on toast, a concept that sounded so peculiar to me. When I was finally convinced to try it myself, I absolutely loved it. I mean, zesty, saucy baked beans combined with the crunch of toast with a kiss of melted cheese is like a little slice of heaven. Sadly, Geoffrey took one bite of his, spit it out, and threw it all across the room. There is probably still evidence of that beans-on-toast-day on that kitchen wall in Adare. Even now, Geoffrey will not eat a baked bean, but he’s definitely missing out on greatness. 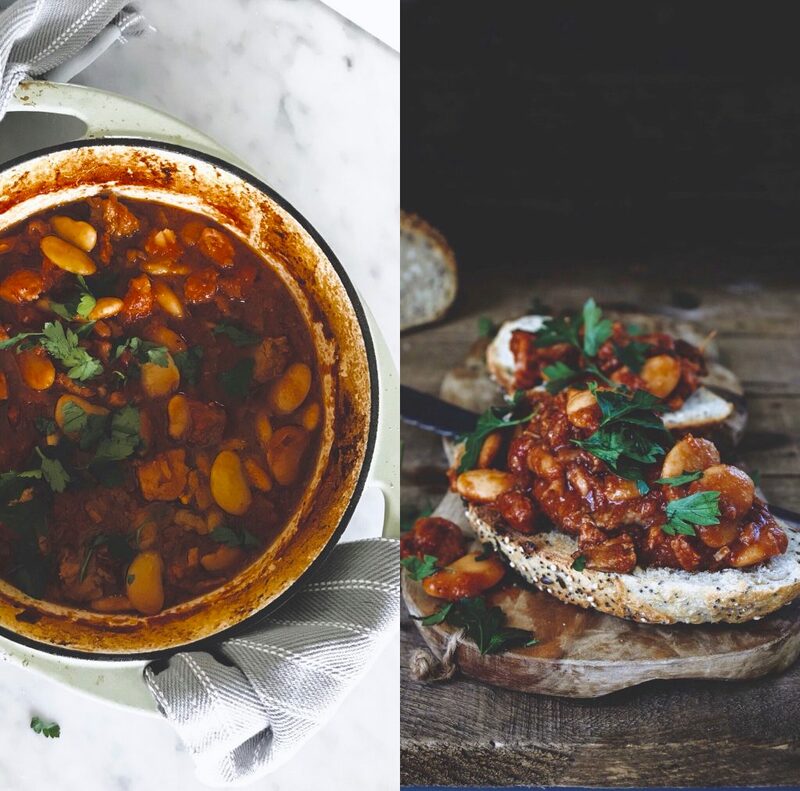 Tucking into any sort of pork and beans creation on a bed of fluffy mash or toppled onto a crust of sourdough toast is the cat’s whiskers, especially when the weather is getting chilly and you are craving something warm and cosy, straight out of the oven. 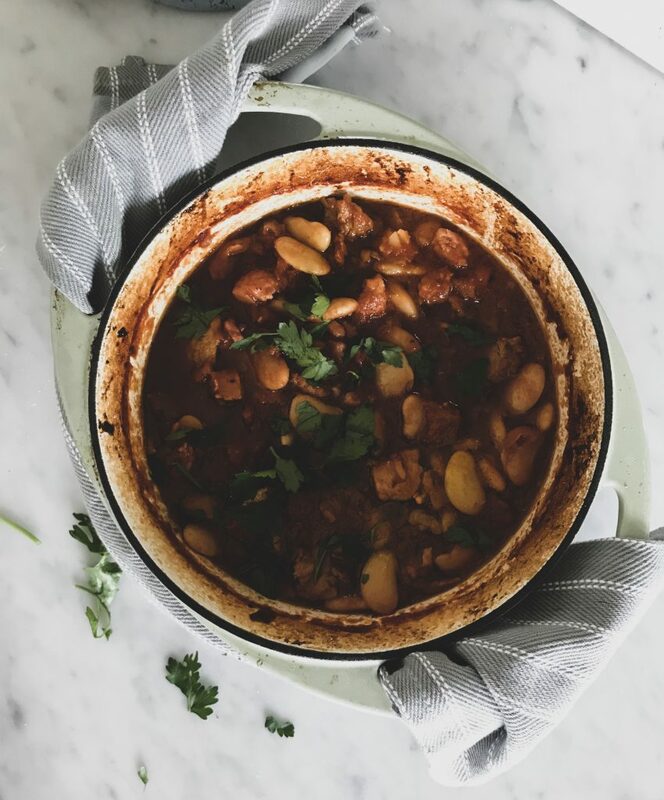 For this grown-up, Spanish-style pork and beans recipe, I am once again partnering with the Irish Food Board, Bord Bia, who are on a mission to encourage the nation to broaden their culinary horizons and eat more Quality Assured pork. Pork is packed full of flavour and really versatile; with just a few key ingredients it is easy to enhance its natural flavours to make a tasty meal that is high in protein and great value, like this smoky pork with bacon, paprika and butter beans. It’s like Irish food for the soul. Bord Bia is calling for the people of Ireland to take on their own #PorkNight Challenge. On a night of your choosing, Bord Bia is asking to go beyond go -to standby suppers and start prepping something tasty with pork. 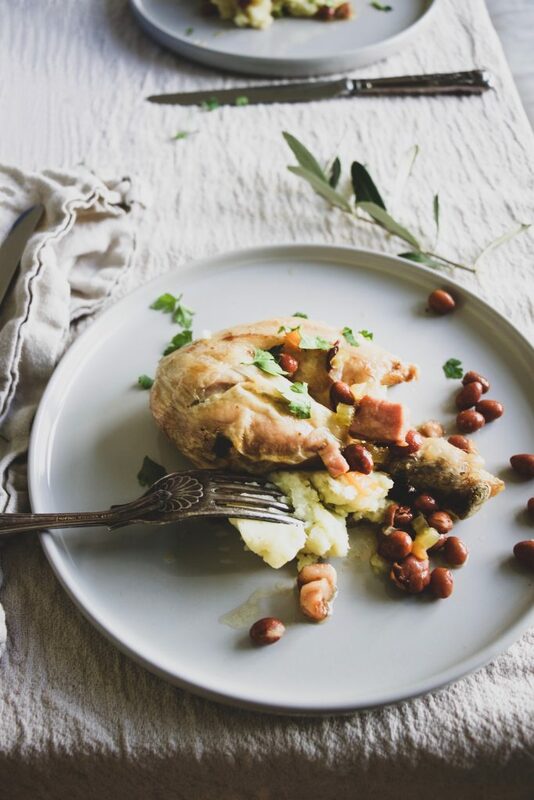 The hope is that #PorkNight will become a regular in many households and if you are so inclined, you’ll find a suite of really easy-to-prepare, flavoursome and versatile pork recipes on bordbia.ie for inspiration. Always look for the Bord Bia Quality Mark on pork so that you know it has been produced to the highest Bord Bia quality standards and where it comes from. This traditional Spanish combination of pork and paprika gives a dish rich in flavour and colour. Set the oven to Gas Mark 3, 160°C (325°F). Heat the oil in a large frying pan over a high heat. Brown the pork pieces in batches. Remove the meat to an ovenproof casserole dish. Add the bacon to the frying pan and fry for 3-4 minutes, or until crisp and golden-brown. Add it to the casserole dish with the pork. Add the onion and chilli to the same frying pan and cook for 2-3 minutes, or until softened. Add the garlic, smoked paprika and cumin. Stir and cook for another minute. Be careful not to let the garlic burn. Then add the wine and bring the mixture to a simmer. Add the chopped tomatoes and the water and bring back to simmer. Season with a little salt and black pepper. Transfer to the casserole dish, cover with a lid or tinfoil. Place in the oven and cook for about 11⁄2 hours or until the meat is tender. Keep an eye on it and add a little more water if the sauce becomes too dry. For the last ten minutes stir through the butter beans. Just before serving stir in the honey, season to taste and sprinkle over the parsley. Serve with mashed potatoes and tender stem broccoli or sautéed pak choi. In June, I travelled to visit my BFF who recently relocated to Seattle (holler if you live there and want to reach out!) While in Washington, I experienced the San Juan Islands, Pike Place Market, Nora Ephron’s favourite coconut pie from Dahlia Bakery, and an absolute life-changing bowl of pork ramen. Ordinarily, I must make my ramen from scratch at home using our own table chickens and homemade noodles, so it was a double treat to sit back and relax while a steaming bowl of ramen was prepared and served to me….but trying the pork (Tonkotsu) version of these gorgeous Asian noodles is what I found to be most remarkable—noodles in a broth beautifully balanced with aromatics, pork flavour, and just so much body. 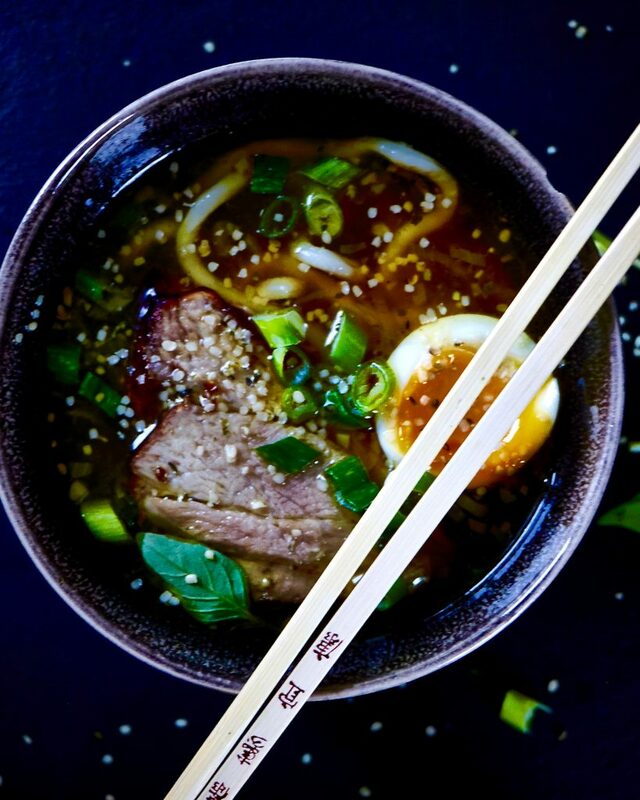 Inspired by my relentless craving for that Seattle ramen bowl and Bord Bia’s new #PorkNight campaign, I rustled up some slow-cooked pork ramen this weekend which everyone at the farm loved as much as me. 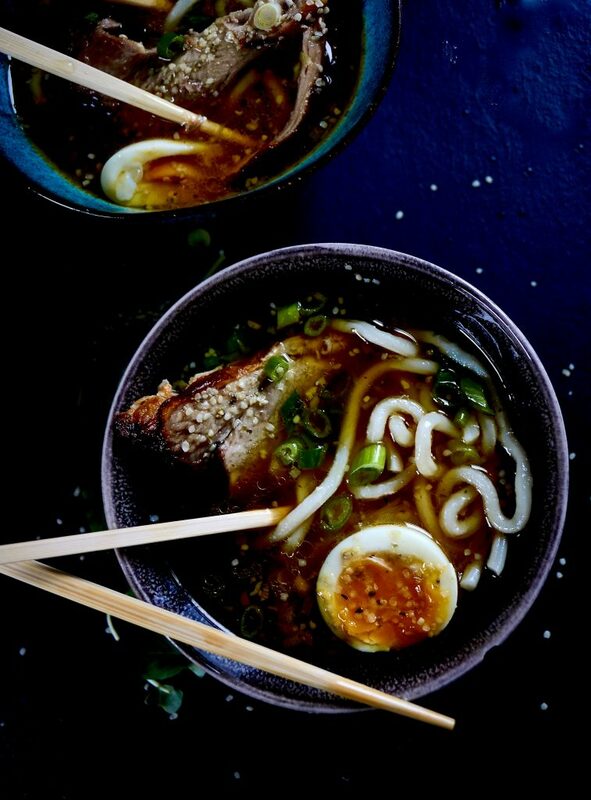 This Japanese style soup is easy to prepare in either a slow-cooker or the oven, you simply cook the pork until it is tender in its highly flavourful broth, add vegetables, followed by the ramen or udon noodles, a hard-boiled egg, and you’re all ready to serve. Once again I am partnering with the Irish Food Board, Bord Bia, who are on a mission to encourage the nation to broaden their culinary horizons and eat more Quality Assured pork. 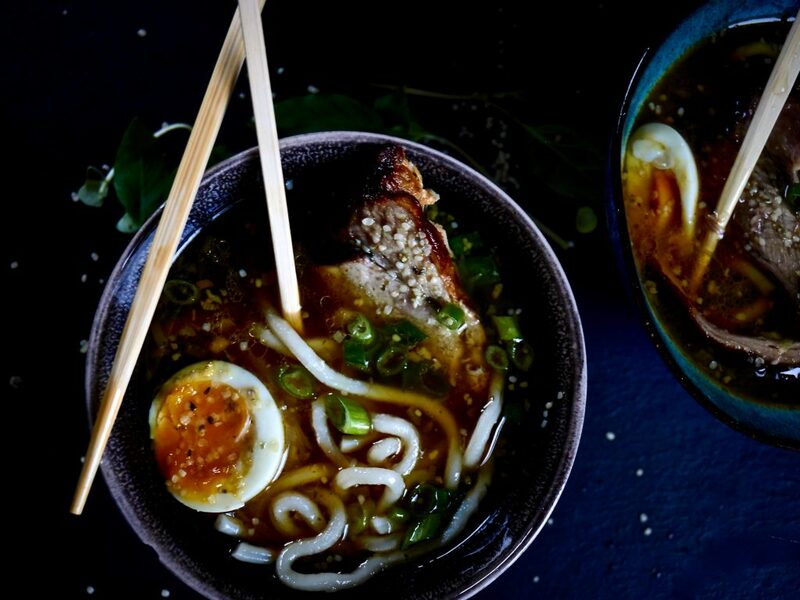 Pork is packed full of flavour, is really versatile and with just a few key ingredients it is easy to enhance its natural flavours to make a tasty meal that is high in protein and great value, like this slow-cooked pork ramen. Bord Bia is calling for the people of Ireland to take on their own #PorkNight Challenge. On a night of your choosing, Bord Bia is asking people to go beyond their go -to standby suppers and start prepping something tasty with pork. Heat a tablespoon of oil in a frying pan over a high heat. Season the pork with a little salt and black pepper. Brown the pork in batches then transfer it to the slow cooker. Reduce the heat to medium and add the onion, garlic and ginger to the frying pan. Cook for about five minutes until softened. Stir in about 200mls of the stock. Bring to the boil, stirring and scraping up any brown bits from the pan. Transfer to the slow cooker. Add the leek, mushrooms and remaining 800mls of stock to the slow cooker. Stir to combine. Cover and cook on the high-heat setting for 6 hours. The pork should be very tender at this stage. When the pork is cooked transfer it to a cutting board. Using 2 forks, break the pork into bite-sized chunks, removing and discarding any fat. Strain the broth through a fine sieve. Discard the solids. Return the pork and broth to the slow cooker and season to taste with soy sauce and hot sauce. Cover and cook on the low-heat setting for about 30 minutes to warm through. Place the eggs in a saucepan of cold water. Bring to the boil then reduce to simmer. Cook for 5 minutes for soft centre. Allow an extra 2 minutes for hard boiled eggs. Run under cold water to cool the eggs, peel and set aside. Cook the noodles as per the packet instructions. To serve: Divide the noodles evenly between individual bowls. Add the pork and broth to the bowls then sprinkle over the scallions, add the halved eggs, drizzle over a little hot sauce and sprinkle on the sesame seeds. Serve immediately. 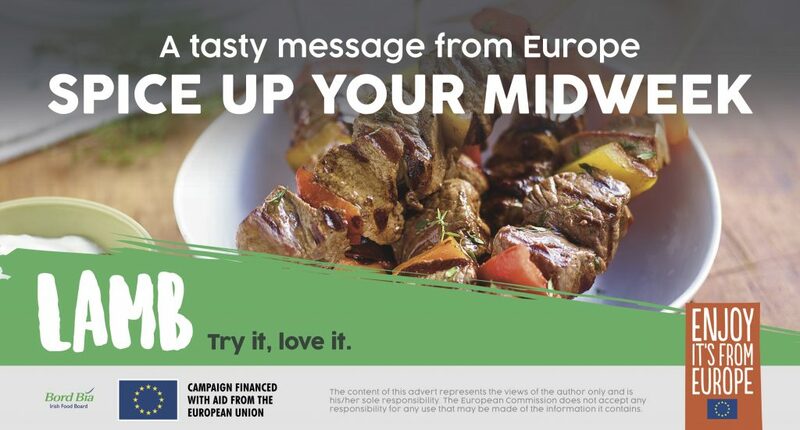 I’m delighted to team up with Bord Bia in support of the European lamb campaign again this year. 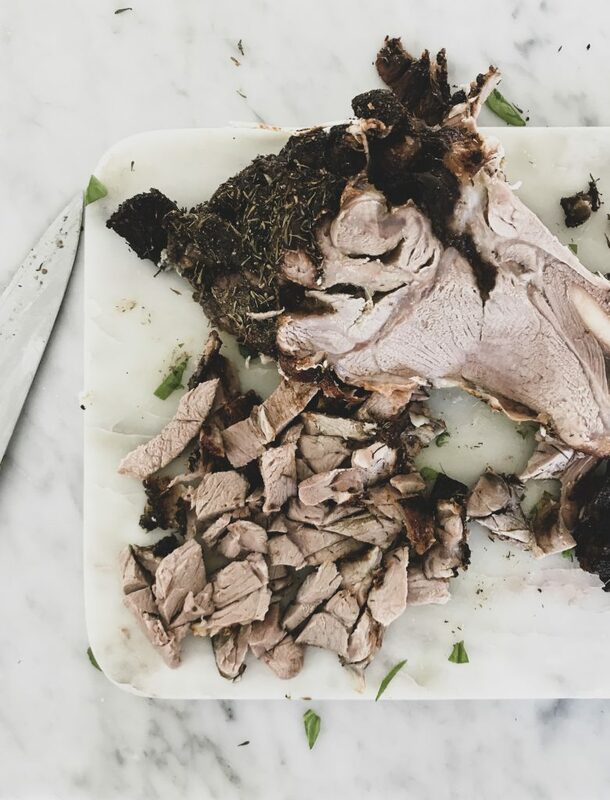 Lamb is one of the most versatile and flavourful meats you can buy. It’s rich and flavoursome and there are so many creative ways you can use lamb, whether you have an afternoon or just minutes to spare. Everything from my Sunday roast rubbed with wild herbs and seasonings, to kebabs, curries, shepherd’s pie, burgers on the grill and so much more. Lamb is the ultimate comfort food, yet can be perfect as part of a light summer salad as well. 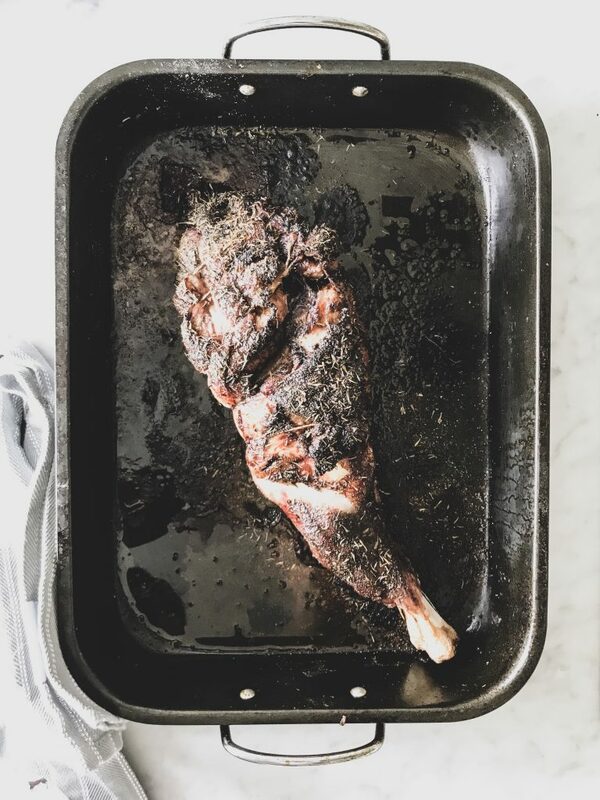 And with some of the best European lamb coming from local farms in Ireland, we really are spoilt for choice when it comes to this outdoor-raised, grass-fed ingredient. 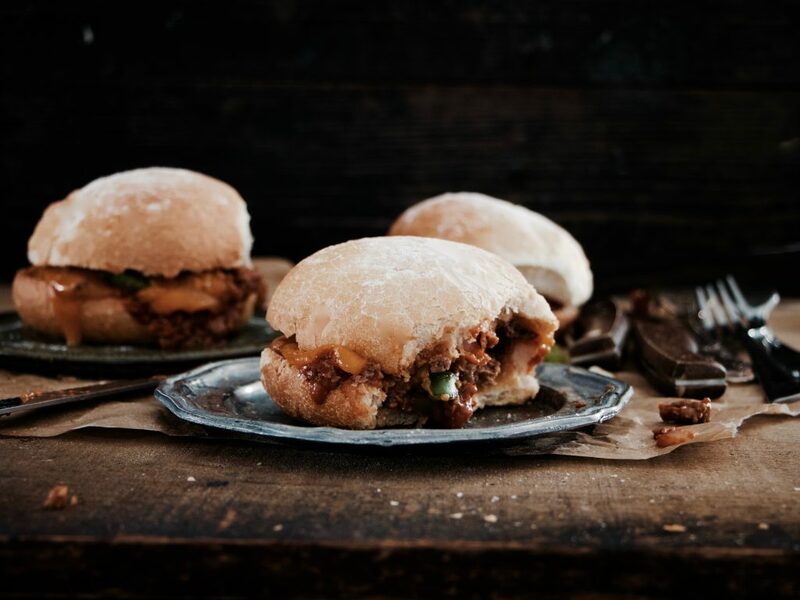 One of my favourite treats growing up was Sloppy Joe’s at my grandmother’s house. I am not exactly sure what her recipe was (could have been Manwich! ), but they always tasted better at her place. In fact, everything tasted better at Grandma’s. I never thought to make a Sloppy Joe using lamb, but now that I’ve tried it, I must declare its greatness with all that zesty, rich flavour! The beauty of this recipe is that it only takes 30 minutes to prepare, and you can double it up and freeze it, or make it in the morning and store in the fridge to serve later in the day. 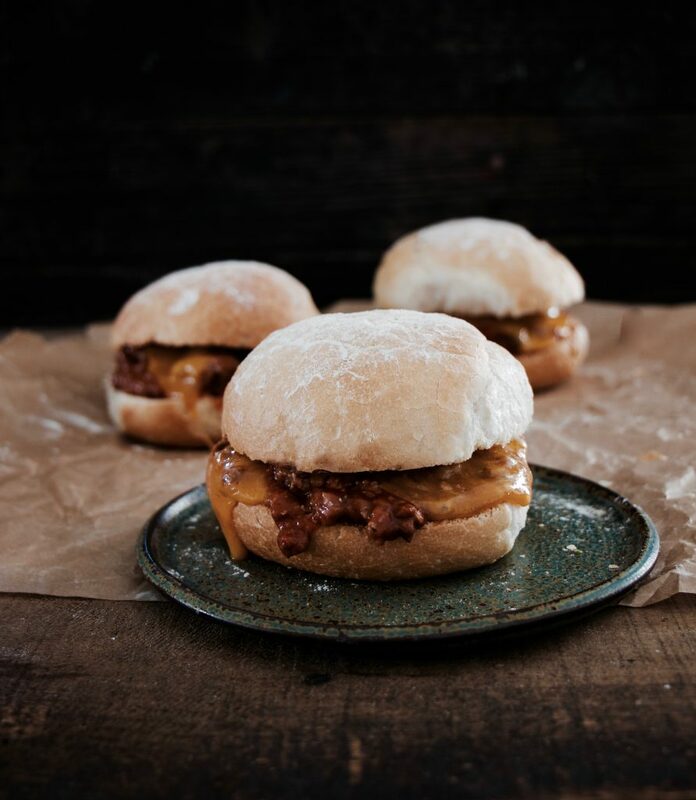 I’ve just added cheese on top of my Sloppy Joe’s, but you can load them up with pickles, lettuce, avocado and all the condiments your heart desires, and the final result will always be mouthwateringly divine. And unlike other burgers, this one should be eaten with a knife and fork! So, don’t delay, dive into your Lamb Sloppy Joes this week. I promise, you won’t be disappointed. 1. Pour the oil into a large pan and add the lamb, onion, garlic and green pepper. Fry over a high heat, break up the mixture with a spatula to stop large clumps forming. 2. After browning well, add the passata, ketchup, Worcester sauce, brown sugar, mustard, and 100 ml water. Blend together and leave to simmer for 20 minutes over a gentle heat. Season with salt and black pepper and a little Tabasco, if you wish. 3. Heat the bread rolls in the oven or in a toaster. Fill them with the mixture, add a slice of cheddar and put a lid on. 4. Serve with potato wedges and a nice salad. I first found myself cleaning the gooseberries sitting in my late mother-in-law, Peggy’s farm kitchen. 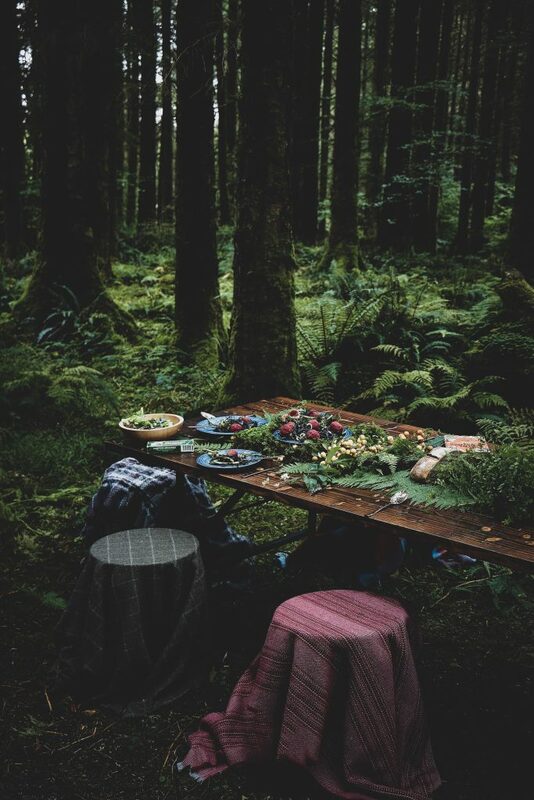 It was one of those unusually sunny and close (close = Irish for muggy/super humid) summer days, and I recall both of us wearing our loose pinnies sitting round the table, topping, tailing and talking till the cows literally came home. It was a transformative afternoon for me as it was then that I started seeing all these farm rituals as being so simply celebratory and meaningful to my husband’s family. And, being asked to help made me feel more like that family. 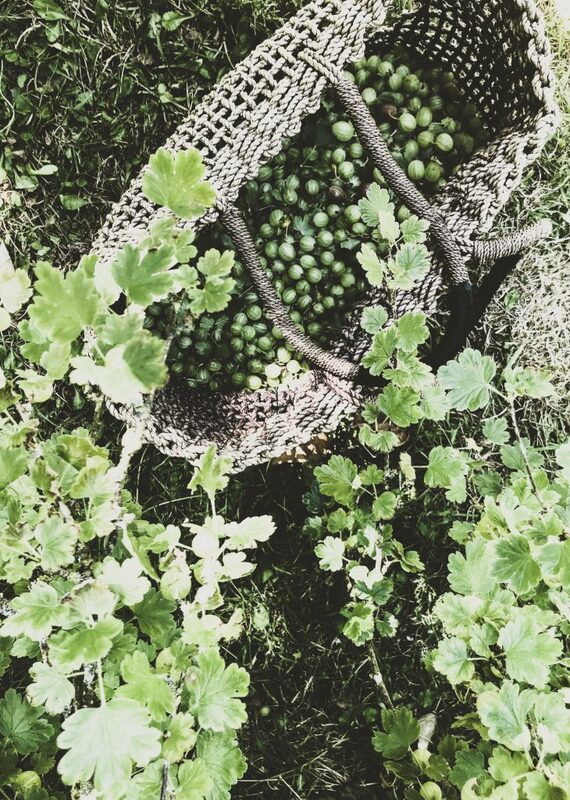 Now, topping and tailing gooseberries is not for the faint of heart. You have to exercise patience on this people. 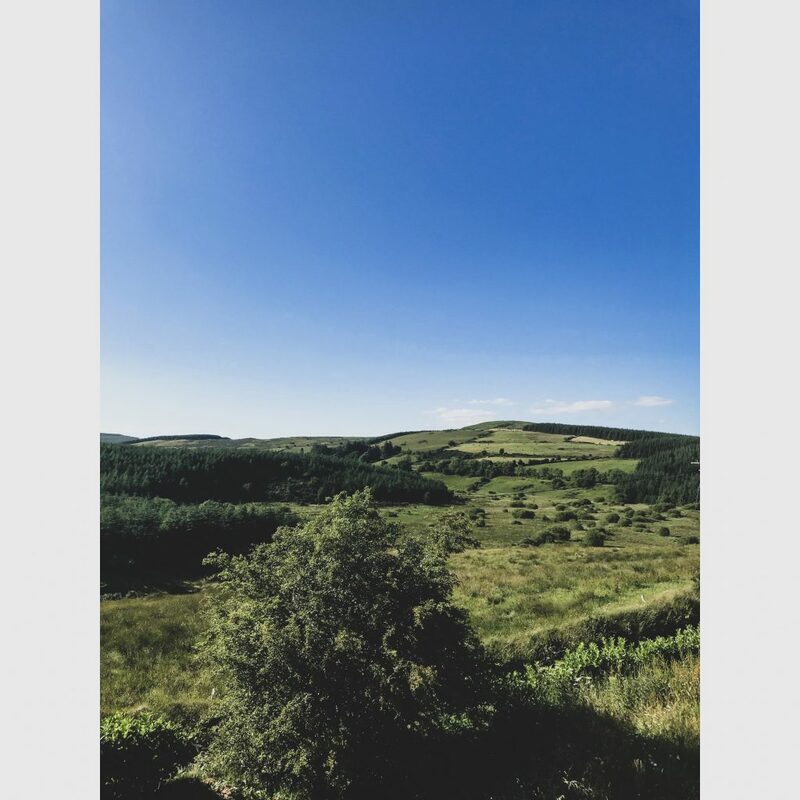 It is definitely one of those exercises that you must let yourself get lost in as it can be quite meditative, however, if you don’t go with the flow and keep checking the clock, it will undoubtedly drive you madder than a broom (Irish = going crazy). The best way to do this task is with a friend or a fantastic mother-in-law and just have a good ol chinwag….. Such good memories, I sure do miss Peggy dearly. I made a gooseberry cobbler to bring along on our visit to our wonderful friends, Corey and Liam from Irish Fireside. We hadn’t seen them in 3 years (far too long!) 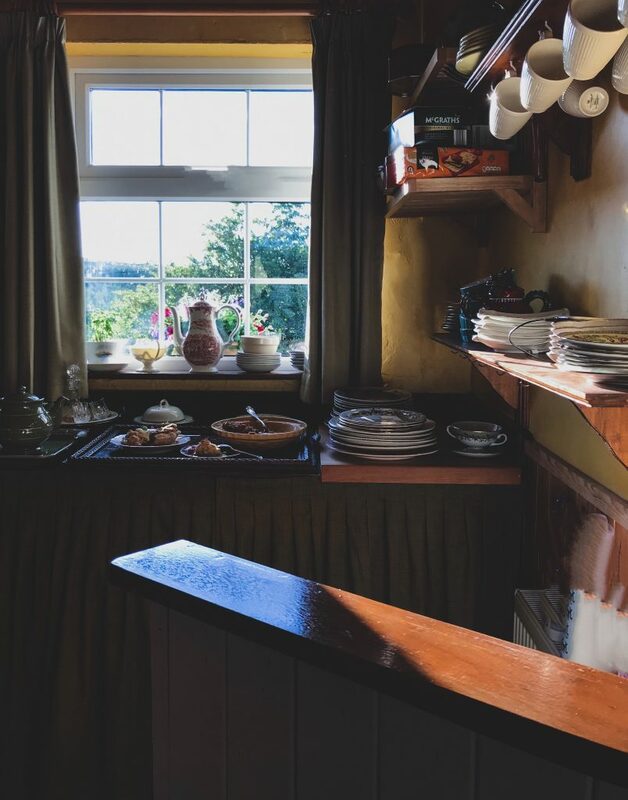 and they were at their sweet cottage in County Tipperary, so we stole away one afternoon during the week, gooseberry cobbler wrapped in a tea towel in tow. When we arrived, Corey had made a gorgeous red currant and apple tart as well. So, after they showed us around the cottage and all the amazing renovations they have been working on, we sat down for tea. 4 hours and two tarts between the 5 of us flew by and alas it was time to go home, although we could’ve stayed long into the night sharing stories and loads of laughter. 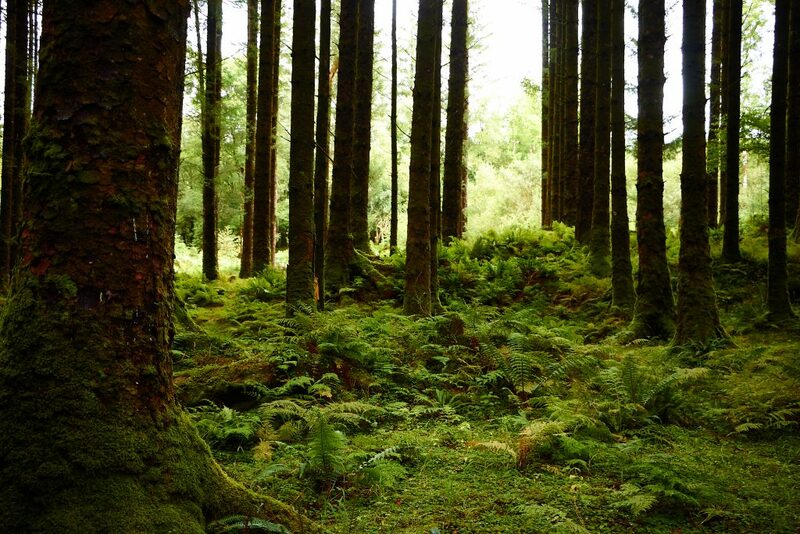 Look into Irish Fireside if you are ever in need of information on travelling to Ireland, they really do share the best tips around and are truly the most genuine, lovely, gentlemen and consummate hosts. 1. Heat oven to 190C/170C fan/gas 5. Place the gooseberries, caster sugar, and elderflower in a saucepan with 4 tbsp water and cook, covered, for 5 mins until the berries begin to pop. 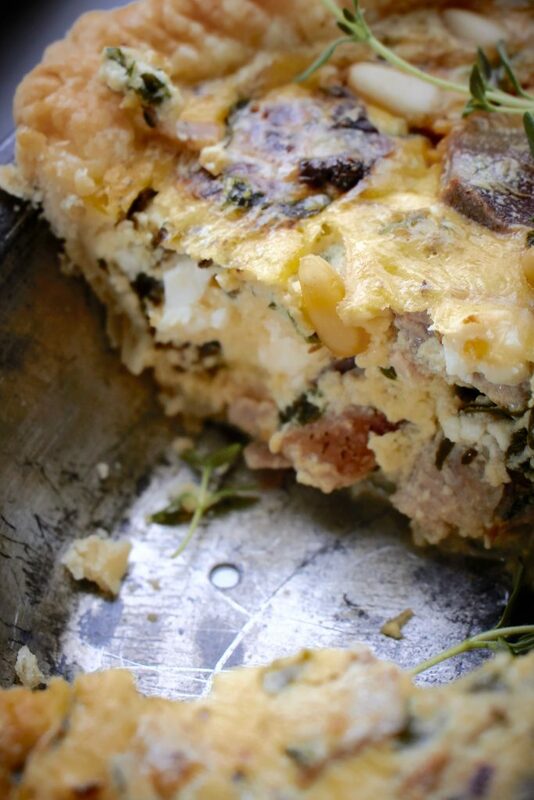 Tip into a well-buttered baking dish. 2. Make the topping. Sift the flour, baking powder and a pinch of salt into a mixing bowl. Rub in the butter until the mixture looks like breadcrumbs, then stir in the caster sugar. Mix in the cream to give a soft, sticky dough. Dollop spoonfuls on top of the gooseberries, then sprinkle with the raw sugar crystals. Bake for 25 mins or until golden brown and crusty. Stand for 5 mins, then serve with ice cream, whipped cream or crème fraiche.